Kratom is a natural botanical native to tropical Southeast Asia that is part of the coffee family. It’s also known by its scientific name, Mitragyna speciosa. The people of Southeast Asia have used Kratom leaves as an herbal supplement and traditional remedy for hundreds of years. When taken in appropriate amounts, Kratom can provide increased energy, minor pain relief and many find relief from a variety of other mental and physical ailments. Today, people in the U.S. are consuming Kratom, as they do other herbal supplements and traditional remedies. Kratom is not a drug. 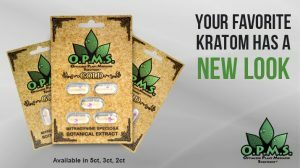 Kratom is not an opiate. Kratom is not a synthetic substance. Naturally occurring Kratom is a safe herbal supplement that’s more akin to tea and coffee than any other substances. Kratom behaves as a partial Mu Opioid receptor agonist and is used for pain management, energy, even depression and anxiety that are so common among Americans. Kratom contains no opiates, but it does bind to the same receptor sites in the brain. Chocolate, coffee, exercise and even human breast milk hit these receptor sites in a similar fashion. Kratom products are not recommended for use by minors or for women who are pregnant or breastfeeding. Age to purchase is 21+.